Harper-Mercer was sympathetic toward other shooters, and seemed to want the fame that they had. Speaking of another shooter, he wrote, “I have noticed that people like him are all alone and unknown, yet when they spill a little blood, the whole world knows who they are.” Has mass murder become the shortest road to fame? Each shooting seems to inspire another shooting. Like other shooters, such as a California shooter, Harper-Mercer was sexually frustrated. He was a 26-year-old virgin. A day before the shooting, he confessed online that he’d never had a girlfriend; “responding to a comment that he ‘must be saving himself for someone special,’ he said, ‘Involuntarily so.’” His use of language suggests a person of above-average intelligence. Speaking of another shooter, Harper-Mercer wrote, “People like him have nothing left to live for, and the only thing left to do is lash out at a society that has abandoned them.” The job of philosophy/religion is to give people something to live for, give people a feeling that they have a niche in the world, even if they don’t have a niche in society. Ben Carson, the Republican Presidential candidate, made an interesting suggestion: a shooter’s intended victims should charge the shooter, instead of doing what he tells them to do. If they charge the shooter en masse, they might reduce the number of people shot. And if they could prevent the shooter from killing himself, it might be possible to inflict on him some sort of vigilante justice, some sort of public humiliation, that would make others less eager to follow his example. Man has strong anti-social impulses, hence human history is a series of wars. It’s difficult for people to cooperate, and live together in peace. We should have more patience with politicians, who are attempting to do something that’s almost impossible: cooperate with each other, establish peace among the citizenry, and live in harmony with foreign countries. Donald Trump’s experience in the TV business has apparently taught him the value of rudeness. Like graphic violence, rudeness shocks people, grabs their attention, and makes a TV show successful. As a politician, Trump uses rudeness in an intentional way, in a way that it hasn’t previously been used in American politics. In the future, we’ll probably see rudeness more often — among Democrats as well as Republicans. If courtesy is essential to cooperation and living together, then the rise of rudeness could be a serious problem. The breakdown of courtesy in American life — in TV, in film, and now in politics — is part of a broader trend, a trend toward vulgarity. According to Ortega, vulgarity means the dominance of the masses over the elites. This dominance of the masses is what we find in the latter stages of Roman history. As far as I know, this trend only moves in one direction, it can’t be reversed; you can move from tragic dramas to gladiatorial combats, but you can’t move from gladiatorial combats to tragic dramas. A. I saw a Western called 3:10 to Yuma (2007). It was moderately popular with the public, and much admired by critics. The plot is rather hard to follow (this seems to be characteristic of contemporary movies). The voices are often indistinct, hard to hear. There are innumerable killings, many very graphic. Then I read the short story that the movie is based on, Elmore Leonard’s “Three-Ten To Yuma”; it has a simpler plot than the movie, and far less violence. Leonard’s “Three-Ten To Yuma” was first made into a movie in 1957. I also read Leonard’s “The Trail of the Apache,” a lively story with considerable violence and no attempt at depth. But the writers of this period aren’t influenced only by war. There is a huge economic movement which has been taking the whole world, Great Britain included, from agriculture towards industrialism.... Normal life today is a life in factories and offices... farming has become scientific... insurance has taken the place of charity. Forster leaves us no doubt as to his attitude toward industrialization: “Personally I hate it. So I imagine do most writers.” Forster seems to regard the Industrial Age as permanent, he seems to have no inkling that, a few years after he delivered this lecture, the Industrial Age would begin to give way to the Information Age. While he hates industrialization, Forster welcomes another contemporary trend: psychology. “Man is beginning to understand himself better and to explore his own contradictions.” Forster says that earlier writers, like Shakespeare, were aware of the unconscious, but their awareness didn’t rise to the level of conscious knowledge. “Conscious knowledge of it only comes at the beginning of the century, with Samuel Butler’s The Way of All Flesh.” Of course, Forster gives credit to Freud for spreading knowledge of the unconscious. Modern psychology, Forster says, has been a boon for modern writers. “What a rich harvest they have reaped!” Proust explored the unconscious, Forster says, as did Joyce, D. H. Lawrence, and Virginia Woolf. an achievement of genius, and it has revolutionized the art of biography. [Strachey] did what no biographer had done before: he managed to get inside his subject. [He] makes his people move; they are alive, like characters in a novel. Forster also says that Einstein has had an impact on modern writers, even if they don’t understand his theories. The idea of relativity is ‘in the air,’ so novelists see human character as relative, not as absolutely good or absolutely evil. Proust, Forster says, is especially adept at depicting characters who are a blend of good and evil. I suspect that Forster errs in giving Einstein credit for this tendency; even before Einstein, novelists like Stevenson were creating characters who were a mix of good and evil. Perhaps Einstein himself was part of a larger trend. Their mind was strange and dark, full of depressions and exaltations, lacking in rule, but with more of ardor and more fertile in belief than any other in the world.... They were as unstable as water, and like water would perhaps finally prevail.... In fullness of time the sea shall be raised once more. At the first meeting with them, was found a universal clearness or hardness of belief, almost mathematical in its limitation, and repellent in its unsympathetic form.... They were a people of primary colors, or rather of black and white.... They were a dogmatic people, despising doubt, our modern crown of thorns. They did not understand our metaphysical difficulties, our introspective questionings. They knew only truth and untruth, belief and unbelief, without our hesitating retinue of finer shades.... Their thoughts were at ease only in extremes.... They never compromised. If anyone could have foreseen today’s terrorism in 1920, it was Lawrence, with his intellectual gifts and his first-hand knowledge of the Arabs. Forster mentions some writers that I know little about. For example, he mentions Siegfried Sassoon, who wrote three autobiographical novels, Memoirs of a Fox-Hunting Man, Memoirs of an Infantry Officer, and Sherston’s Progress. In his later years, Sassoon wrote three volumes of straight, non-fiction autobiography. As a soldier in World War I, Sassoon was known for wild courage. Sassoon’s periods of duty on the Western Front were marked by exceptionally brave actions, including the single-handed capture of a German trench in the Hindenburg Line. Armed with grenades, he scattered sixty German soldiers. Forster says that Sassoon’s work is characterized by “nostalgia.” He’s probably referring to Memoirs of a Fox-Hunting Man, which was “almost immediately accepted as a classic, bringing its author new fame as a humorous writer.” Sassoon was also known for his poems about World War I, and for his anti-war protest. Sassoon was a friend of the war poets Robert Graves and Wilfred Owen. Sassoon had several homosexual affairs, as well as a wife and child. Sassoon’s father was Jewish, his mother Catholic (his father’s family disinherited him for marrying outside the faith). Sassoon himself converted to Catholicism late in his life. In addition to numerous novels, Rose Macaulay wrote a biography of Milton, studies of Forster and Evelyn Waugh, travel books about Portugal, etc. She was apparently a descendant of the famous historian and man-of-letters Thomas Babington Macaulay. Forster says that there are two tendencies in modern prose, a popular tendency and an esoteric tendency. He says that the popular tendency “absorbs what is passing,” like the newspaper, while the esoteric tendency “rejects it, and tries to create through art something more valuable than monotony and bloodshed.” The word “esoteric” sometimes means “occult.” I once believed that Forster was using “esoteric” as a synonym for “occult,” but now I’m unsure. He may mean occult, but he may also mean subjective, or he may mean arcane/hidden/obscure, or he may mean all these things. Forster says that “the best work of the period has [an] esoteric tendency.” Writers with this tendency, Forster says, are Joyce, Woolf, Lytton Strachey, T. E. Lawrence, etc. These writers aren’t known for dealing with the occult. In conclusion, Forster says that some fine literature was created between the wars. And indeed, I’m astonished at how many good books emerged from Britain in these decades. John Freeman interviewed numerous writers for a BBC show called “Face to Face.” Click here for Freeman’s interview with Evelyn Waugh. Waugh says that his best book is Helena, a historical novel about a Christian woman who tried to find the cross on which Christ was crucified. Helena was the mother of the emperor Constantine. Forster’s essays on Andr� Gide reminded me of The God That Failed, a collection of anti-Communist essays, one of which is by Gide. Another of the essays is by Louis Fischer, a journalist/author who was born into a Jewish family in Philadelphia in 1896. At age 21, Fischer joined the Jewish Legion, a military group in Palestine. Later he spent several years as a reporter in the Soviet Union. Fischer covered the Spanish Civil War, working for a magazine called The Nation; he joined the International Brigade, and fought against Franco. His biography of Lenin won the National Book Award in 1965. Fischer also wrote a popular biography of Gandhi, and an autobiography called Men and Politics. Another essay in The God That Failed is by Ignazio Silone, an Italian writer. 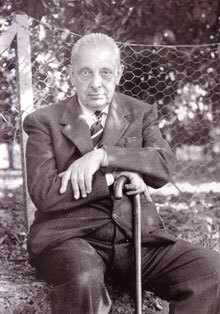 Silone was a leader of Italy’s Communist Party in the 1920s, when the Fascists ruled Italy. His brother was arrested and killed by the Fascists. In 1927, Silone traveled to the Soviet Union, then Switzerland. He became a critic of Stalin, and was expelled from the Italian Communist Party. His first novel, Fontamara (Bitter Stream) was published in 1933; though he wrote several other novels, Fontamara is his best-known work. It was hailed as a great indictment of Fascism, and was translated into 27 languages. 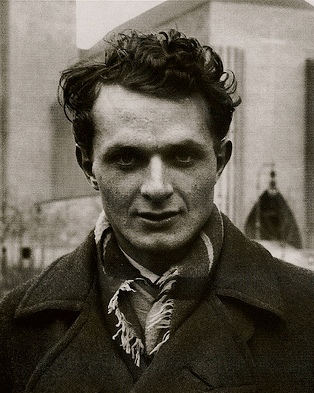 Another co-author of The God That Failed is the English writer Stephen Spender. Spender was a close friend and disciple of W. H. Auden; he was also friends with Virginia Woolf, Yeats, Dylan Thomas, etc. Spender joined the British communist party in 1936. Apparently he didn’t travel to the Soviet Union, but he did travel to Spain during the Spanish Civil War; in Spain, Spender met Hemingway, Andr� Malraux, etc. In 1951, Spender wrote about politics and other matters in a memoir called World Within World. A versatile man-of-letters, Spender wrote poetry, fiction, drama, essays, etc. For many years, he was a college professor, sometimes in the U.S., sometimes in England. From 1953 to 1966, Spender was co-editor of Encounter magazine; Spender left Encounter when it was revealed that funds for the magazine were supplied by the CIA.7 Spender had affairs with both men and women; his first marriage lasted just three years; his second marriage (to a concert pianist, Natasha Litvin) lasted more than fifty years, and produced two children. Warner also wrote several non-fiction works about ancient Greece, and he translated Greek and Roman literature, including Augustine’s Confessions. He spent several years as a professor of Classics in the U.S. I discovered an Italian novelist named Lampedusa (Giuseppe Tomasi di Lampedusa), best known for his novel The Leopard (1958), which was made into a movie in 1963. The Leopard is about a Sicilian aristocrat during the 1800s, when Italy was being unified (the “Risorgimento”). Lampedusa was from an aristocratic Sicilian family. The family’s mansion had its own theater, where the young Lampedusa saw Hamlet performed by a troupe of traveling players. He fought in World War I, was taken prisoner by the Austrians, and escaped from prison. He married a German aristocrat who lived in Riga, Latvia (then part of Germany); he had no children. He was a shy person who spent much of his life reading; he was especially fond of English literature. He published little in his lifetime; The Leopard was rejected by the two publishers to whom he submitted it. Now, however, several of his works have been published, including short stories, literary criticism, and letters. Like Lytton Strachey, Edith Sitwell wrote a popular biography of Queen Victoria. She also wrote two popular books about Elizabeth I: Fanfare for Elizabeth, and The Queens and the Hive. Also popular was Sitwell’s English Eccentrics. Sitwell prided herself, not on her historical works, but on her poetry; she said that she wrote prose merely to make money. She favored poetry that was innovative, modernist, and she befriended young poets like Dylan Thomas. Near the end of her life, Sitwell converted to Catholicism. 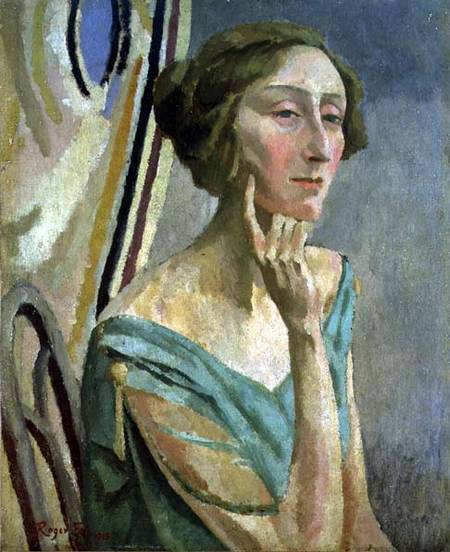 Victoria Glendinning wrote a well-regarded biography of Edith Sitwell (Glendinning also wrote biographies of Elizabeth Bowen, Trollope, etc.). For the past 30 years has conducted, in conjunction with his brother and sister, a series of skirmishes and hand-to-hand battles against the Philistine. Though outnumbered, has occasionally succeeded in denting the line, though not without damage to himself. The third Sitwell, Sacheverell (“Sachie”), became an eminent writer on music and art. Among his books are studies of Mozart, Liszt, etc. He had a special interest in the Baroque period, and wrote several books about it, including Southern Baroque Art: a Study of Painting, Architecture and Music in Italy and Spain of the 17th & 18th Centuries. Like his brother Osbert, Sacheverell was interested in the occult; he wrote a book called Poltergeists: An Introduction and Examination Followed By Chosen Instances. In addition to Lytton Strachey and Edith Sitwell, Elizabeth Longford also wrote a well-regarded biography of Queen Victoria. Among Longford’s other books are biographies of Byron and Wellington. She lived to be 96, and had eight children, one of whom was the historian Antonia Fraser. Her son, historian and tree expert Thomas Pakenham, is the author of books on the Boer War, The Scramble for Africa, and the Irish rebellion of 1798. In addition to Erewhon, Butler is known for his autobiographical novel The Way of All Flesh, which was published after his death. As I mentioned above, Forster was impressed by the psychological insights in The Way of All Flesh. When I read about modern English literature, I often come across the name “V. S. Pritchett.” Pritchett’s roots were middle-class, or lower-middle-class, and he had no university education (he described himself as “utterly ungraduated”). His father was a Christian Scientist, and tried his hand at various businesses, with little success. At age 22, V. S. Pritchett began writing for the Christian Science Monitor, which sent him to Spain and Ireland. His Spanish stint resulted in his first book, Marching Spain (1928), which describes a journey through Spain. His time in Ireland resulted in his second book, Clare Drummer (1929). Though he wrote five novels, Pritchett preferred writing short stories, and his short stories have a higher reputation than his novels. The book that first made him known was a story collection, The Spanish Virgin and Other Stories (1932). After World War II, he taught at several American colleges, and wrote about literature for the magazine New Statesman. His literary essays have been published in book form. Late in his life, Pritchett wrote biographies of Balzac, Turgenev, and Chekhov. 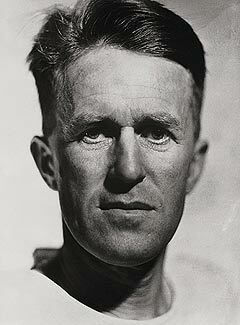 Among his best-known works are his memoirs Cab at the Door and Midnight Oil. Pritchett lived to be 96. Compton Mackenzie was Scotch, and wrote about Scotland in the comic novel Monarch of the Glen (1941), and in historical works such as Prince Charlie. He was born in England, and attended Oxford, but spent much time on the island of Barra, in the Outer Hebrides, and he’s buried on Barra. 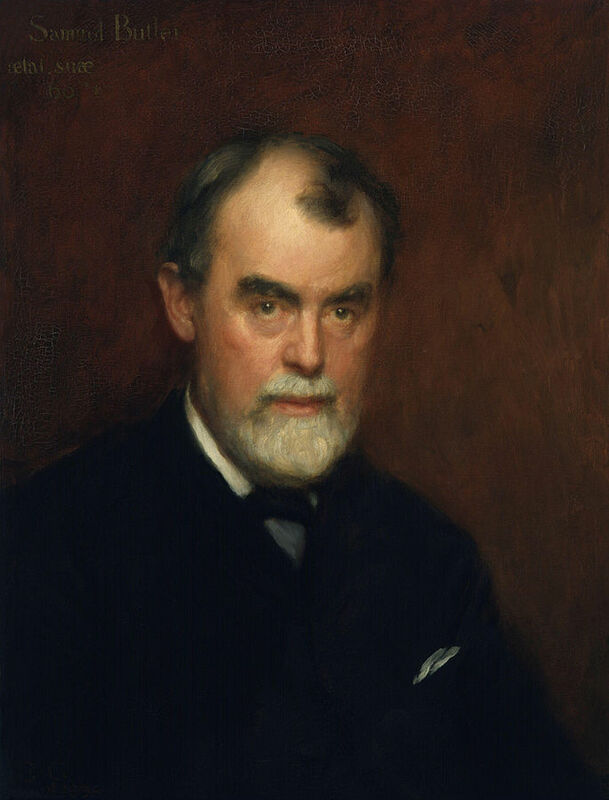 Mackenzie’s novel Sinister Street is classed as a “bildungsroman” (a novel about growing up); Henry James regarded Sinister Street as “the most remarkable book written by a young author in his lifetime.” Mackenzie converted to Catholicism, and wrote several religious novels. During World War I, Mackenzie worked for British Intelligence in Greece, and he later wrote several books about his experiences. He wrote about ancient Greek history (Marathon and Salamis), and modern Greek history (Wind of Freedom: The history of the invasion of Greece by the Axis powers, 1940-1941). Mackenzie wrote ten volumes of autobiography. 6. 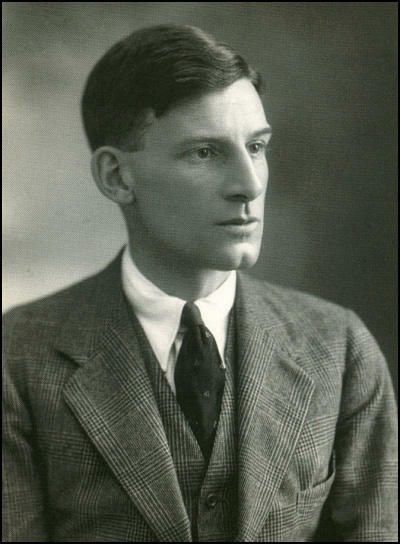 Siegfried Sassoon was acquainted with Russell, and Russell influenced Sassoon’s anti-war stance.